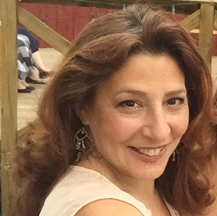 Elisa Schwartz is a producer, covering all areas of video production and non-scripted TV. Her experience includes producing for NBC daytime, E! Entertainment, Style, SyFy, Paramount Pictures, TLC, Yahoo.com. A few of her successful productions include "Secret Princes," returning for Season 2 on TLC; Yahoo.Shine.com’s 12 episode Web series, Style Studio with Rebecca Minkoff; and “How Do I Look?” on Style Network, which was nominated for an Emmy. With the boom in social media video, Elisa's producing shareable clickable content for independent clients, such as Boardwalk Food Company and NotKetchup. Independently, Elisa also Executive Produced a project for Chaz Dean, creator of WEN Hair and Body Care. The instructional DVD is provided to every customer upon purchase, hundreds of thousands to date! With her vast knowledge of non-scripted TV and a genuine passion for helping others understand this landscape, Elisa produced and hosted a highly successful Seminar in Los Angeles, "Reality TV A to Z: How to Pitch and Produce Reality TV." An exceptional panel of industry pros, at this full day seminar, provided insider information about the "how-to" of creating reality. As a Media Consultant, Elisa has consulted with clients with reality pitch proposals and sizzle reels. ​Elisa currently resides in Los Angeles, CA.